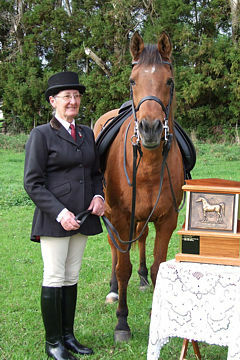 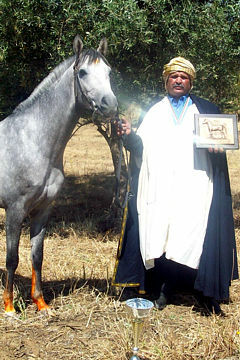 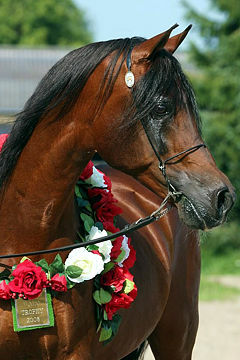 The Finnish Arabian Horse Society is proud to award the 2013 WAHO Trophy to the 23 year-old gelding Beshmet, after a long and successful competing career, mainly in junior eventing and jumping. 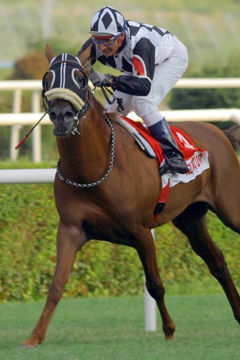 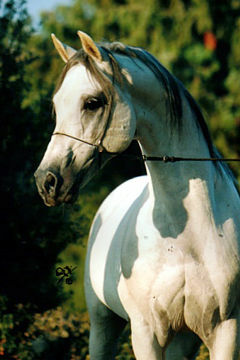 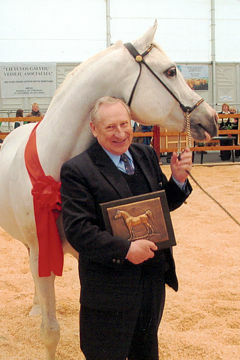 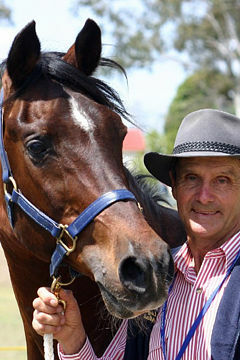 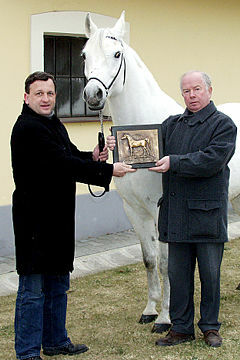 Beshmet’s sire and dam were both imported to Finland from Russia. 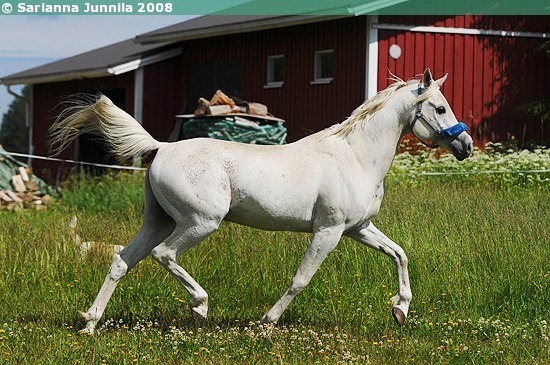 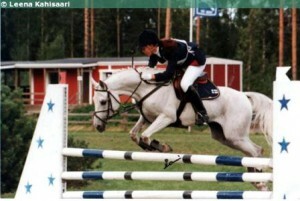 This talented and athletic gelding was on top of his game in the early 2000’s as, among other achievements, he twice won the Gold medal in the Ponies’ Eventing Finnish Championships with Sanna Siltakorpi. 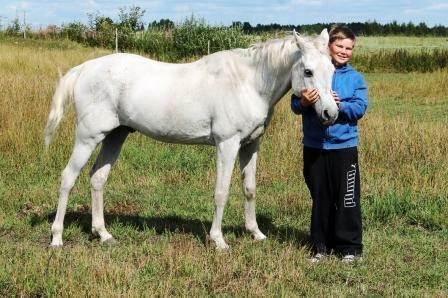 After his more demanding competing years were over, Beshmet has been a loyal companion and teacher to Jenni Siltakorpi and her brother Sami. 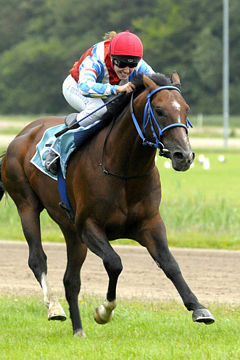 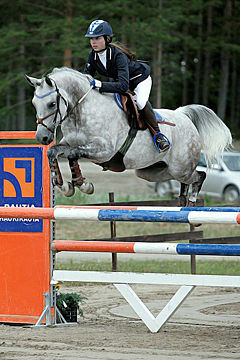 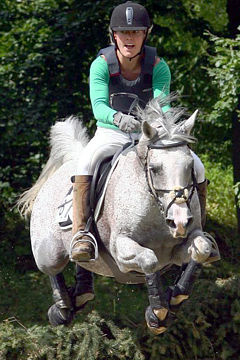 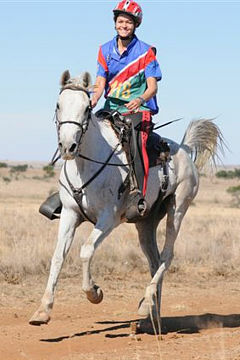 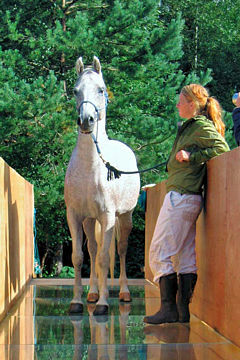 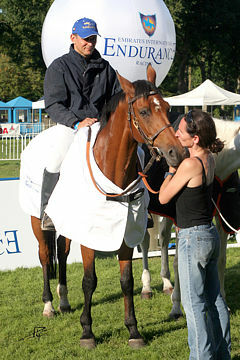 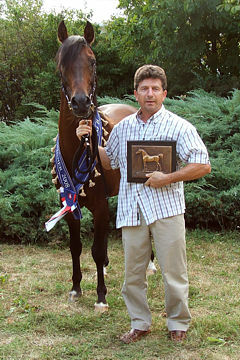 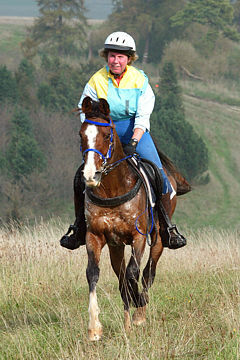 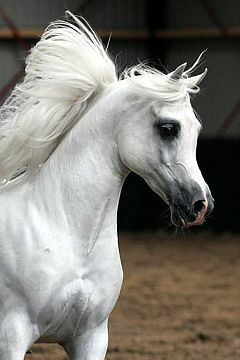 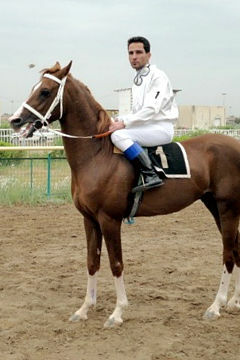 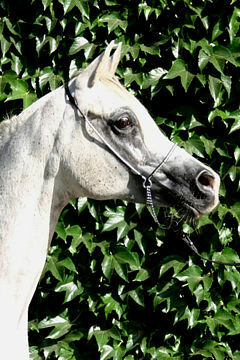 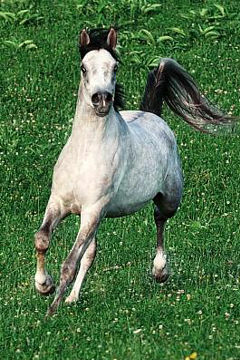 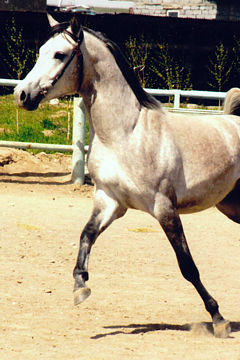 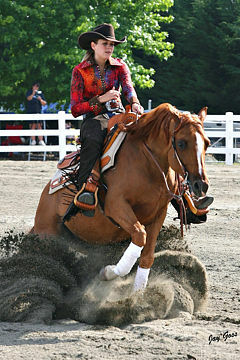 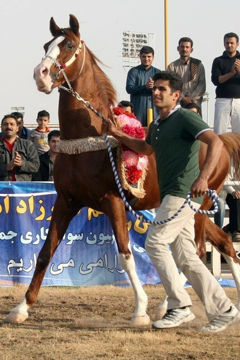 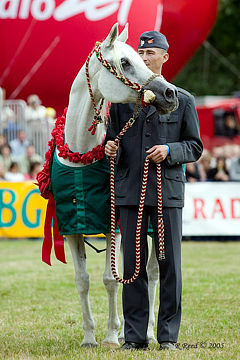 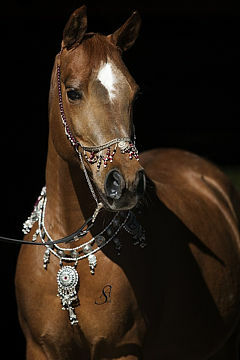 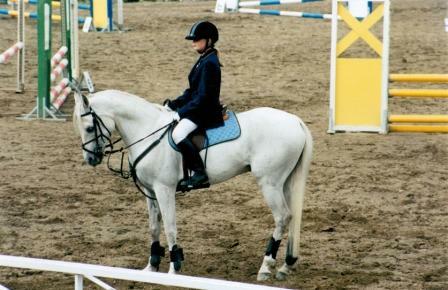 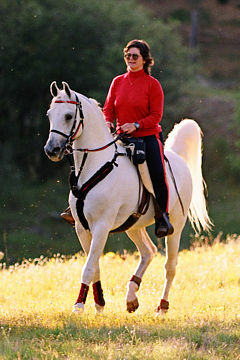 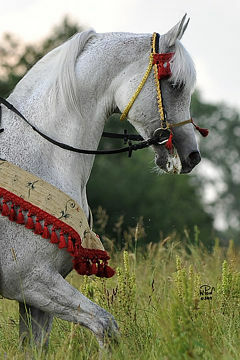 Most recently, Beshmet has been competing in jumping in lower classes with Sami until early 2013. 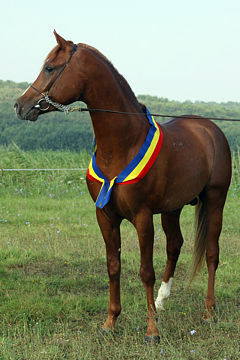 Today he is enjoying his retirement days. 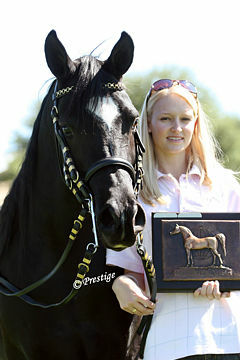 Jenni and Beshmet sadly couldn’t make it to the award ceremony at the Finnish National Arabian Horse Show, so their WAHO Trophy was formally presented by Tuija Sipilä to FAHS’s president Annie Liman standing in for Jenni Siltakorpi, who received the trophy later.